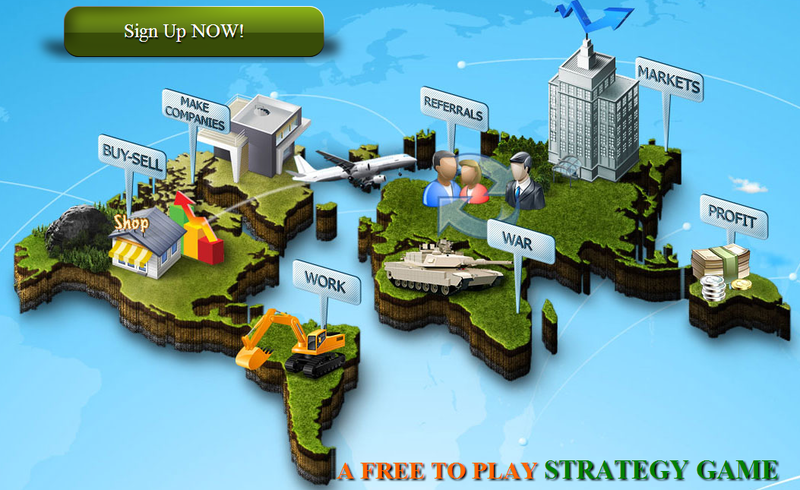 Home » Sponsors » FREE strategy game where virtual currency can be converted in REAL MONEY! FREE strategy game where virtual currency can be converted in REAL MONEY! The economic crisis hit the Earth! Governments have reached impressive debt that rises above their capacity to pay. Liquidity and rampant currency devaluation led to the bankruptcy of companies. Investors have disappeared and the entire economy is in collapse. Politicians have lost confidence in their abilities to save the world and were left drawn to a network of corruption, which quickly took root. Borders were abolished and the governments could not financially support the population and armies. Immorality, confusion, despair reached alarming levels. It is time to rebuild the world! Great thinkers of all countries have met and have developed a new global economic system, codenamed MarketGlory. It's a modern world where economy is based on sound principles, a world founded on trust and honesty, in which governments have no ability to borrow in order to avoid economic and political degradation. Take action in building the new world! Work every day to develop your country, fight for your country! Your daily intake may tip the balance in favor of a rapid development of an integral world.